Two years after the Titanic made its ill-fated voyage across the Atlantic, another luxury liner, the Empress Alexandra, makes its way across the same ocean and suffered a similar fate, though its sinking is caused by a mysterious explosion and not a collision with an iceberg. Some of the passengers manage to save themselves from the wreckage by making their way onto lifeboats. One of these lifeboats holds 40 surviving passengers. One of them, Grace Winter, a 22-year old newlywed and now widow, narrates this fictional story of survival in this overcrowded lifeboat. 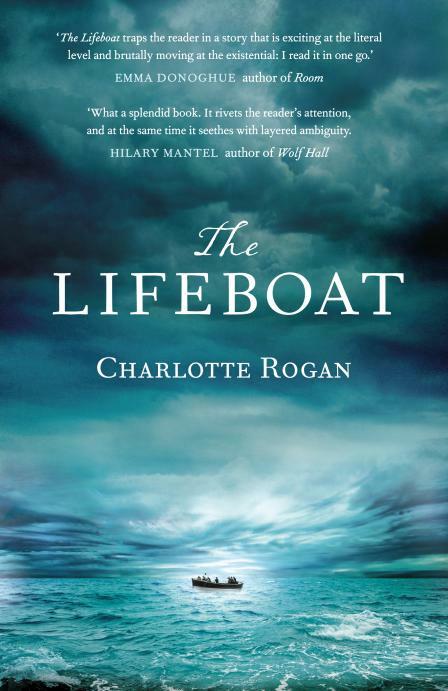 As their days and nights adrift on a hostile sea drag on with no rescue and passengers begin to die off, the lifeboat’s residents realize they must take their rescue into their own hands. Skirmishes and power struggles inevitably arise, and what is right and moral becomes blurred. Extraordinary circumstances no doubt result in extraordinary actions. I have become somewhat fascinated by debut novels, and this is, like The Light Between Oceans, another debut work. It is interesting to me how the range of debut work that gets published runs such a wide gamut from crappy, amateur writing but with a marketable angle (think Fifty Shades of Grey) to elegant, expert prose such as this book. Clearly there is a difference between those who decide to throw together a book and luck out by finding a publisher who thinks it could make a few bucks, and those who have writing running through their veins. Rogan sets a sinister scene, creates multilayered characters, and asks the reader to examine complex moral questions. Although I wish the actual castaway aspect of the story had gone into more detail – having read two previous accounts of long-term survival on a lifeboat, one fictional (Life of Pi), and one biographical (Unbroken), I was prepared to read about the gruesome aspects of starvation and exposure to the elements, and actually found this one to be quite tame – this is still a compelling and extremely well-written story.